With throngs of Georgia State University Law Librarian, both past and present, cheering in appreciation, Nancy Johnson was inducted into the American Association of Law Libraries (AALL) Hall of Fame at the 2011 AALL Annual Meeting and Conference. The Georgia State University Associate Dean for Library and Information Services and Professor of Law is part of the 2011 class of hall of fame inductees and joins other pioneers and leaders of the profession. 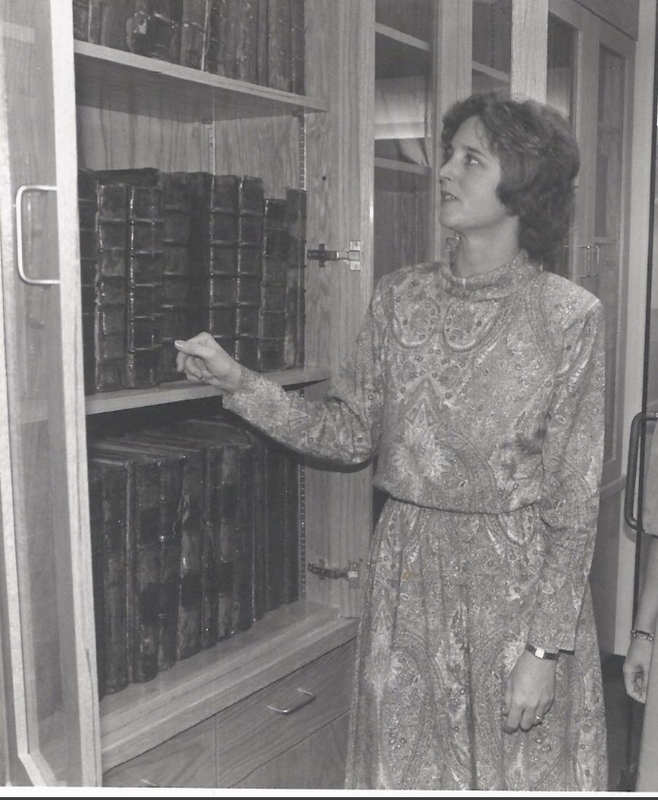 Johnson built the Georgia State Law Library collection from the ground up. Nancy P. Johnson, associate dean for library and information services and professor of law, Georgia State University, has been active nationally in AALL and especially the Academic Law Libraries Special Interest Section (ALL-SIS). On the local level, she has been active with the Atlanta Law Libraries Association (ALLA) and the Southeastern Chapter of the American Association of Law Libraries (SEALL), serving as president of ALLA in 1990-91 and of SEALL in 2003-04. She was chair of the ALL-SIS in 1992-93 and served as Special Interest Section Council chair in 1993-94. She was a member of the AALL Executive Board in 1996-99 and chaired the AALL Economic Study Advisory Committee on Law Book Pricing, for which she received a Presidential Certificate of Appreciation in 2001. In 2009 she was honored by the ALL-SIS with the Frederick Charles Hicks Award for Outstanding Contributions to Academic Law Librarian ship, and in 2010 she received the SIS’s award for best article of the year for “What First-Year Students Should Learn in a Legal Research Class,” published in Legal Reference Services Quarterly. Johnson’s strengths can be seen in her writing, her teaching responsibilities, and her support as a mentor. She has guided many former staff members to new positions as directors and associate directors in law libraries. She has spoken at and has served as a moderator at AALL Annual Meetings as well as SEALL and CALI programs. She was one of the early founders of CALI’s Legal Research Community Authoring Project, which reached a milestone in 2010 with 100 legal research lessons. Georgia Legal Research, co-authored with Elizabeth Adelman and Nancy Adams, is the definitive publication on the subject. Sources of Compiled Legislative Histories has been published with regular updates since 1979 and is now available on Hein Online. Johnson has been a co-author of Legal Research Exercises, most recently with Susan Phillips, since 1986. Congratulations Nancy. It is well deserved.